The Massachusetts Appeals Court issued an important decision last week concerning forum selection clauses in Massachusetts. While the case didn’t concern a real estate matter, these clauses are often found in real estate contracts, making it relevant here. The case, Empire Loan of Stoughton v. Stanley Convergent Security Solutions, Inc., is included below. This case concerned a breach of contract dispute between two businesses: a Massachusetts corporation and a Delaware corporation doing business in Massachusetts. These corporations entered into a contract for the installation of security systems, and a lawsuit arose after one of the businesses alleged that the other failed to properly maintain and monitor one of its security systems. One of these businesses sued the other in a Massachusetts court, and the court dismissed the lawsuit due to a forum selection clause in the parties’ contract. A forum selection clause allows parties in a contract to pick the location where any lawsuits arising out of the contract should be heard. Here, the parties agreed to Connecticut. 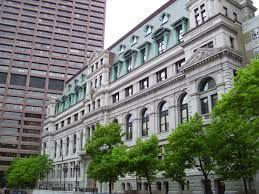 Because the business sued in Massachusetts, the court dismissed the case. Empire Loan discusses the standard for determining whether one of these clauses is enforceable. The party in favor of the clause must show the clause was reasonably communicated and accepted. The party opposed to the clause must show it is unfair and unreasonable. The Appeals Court found that this forum selection clause was permissible largely because the opponent of the clause did not dispute reading the entire contract and agreeing to all of its terms. Moreover, the record supported that the parties negotiated the entire agreement. Empire Loan has important implications for anyone entering into a contract . . . especially in real estate. Forum selection clauses can (and will) be enforceable if they are fair and reasonable. This decision suggests that courts will not have too much sympathy for parties who freely and willingly sign agreements of these type. Simply put, a party who signs a contract with a forum selection clause can be stuck with it. That’s not to say that every one of these clauses are enforceable. A party entering into one of these contracts, however, should give consideration to the implications of one of these clauses before signing. If you need assistance with a real estate contract dispute, contact me for a consultation.